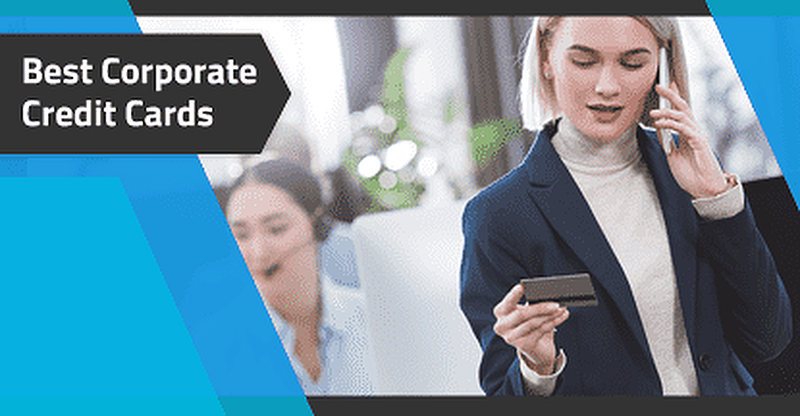 Although commonly thought of interchangeably, corporate credit cards are actually their own product distinct from the more prevalent business credit card. Essentially, corporate cards offer functionality specifically designed to meet the needs of large companies with hundreds of employees and robust revenue streams. But that’s not to say there’s no value in a regular business credit card, even at the corporate level. Determining whether your business needs a corporate credit card or a regular business credit card will come down to your company’s size and revenue, as well as the specific features you need your company’s card to deliver. Large corporations tend to have different financial needs than your typical small business, and they need a card that reflects those differences. For example, corporate credit cards — also called commercial credit cards — can have unique structures for billing, purchase tracking, and employee cards, among other features. While most businesses — even one-person sole proprietorships and DBAs — can qualify for a small business credit card, only actual corporations can generally qualify for a corporate credit card. This means being structured and registered as an S or C corporation. Additionally, individual corporate credit cards and issuers may have certain revenue qualifications, typically requiring companies make several million in revenue each year, which may be difficult for smaller businesses to meet. Unlike small business credit cards, signing up for a corporate credit card isn’t always as simple as filling out a quick online application. While some banks may offer an online application, others will require you to contact the bank and meet with an adviser to get started. If your company doesn’t meet the income or classification requirements for a corporate credit card, you’ll likely need to look into small business credit cards, instead. But that’s not necessarily a bad thing. Many small business credit cards offer pretty strong rewards programs, as well as options for annual-fee-free credit cards and free employee cards. And when it comes to travel perks and other benefits, some business cards can be well worth adding to even your corporation’s collection. Simple, straightforward cash back rewards can be an easy way to make your credit card carry its own weight without needing to worry about complicated redemption options or points transfers. If you want to try and maximize your cash back, a card offering bonus rewards categories can be quite lucrative when the categories align with your business’s expenses. Otherwise, a flat-rate unlimited rewards credit card can help you earn rewards on every purchase without any categories to remember. Although the Ink Business Cash℠ Credit Card has a low bonus category cap of just $25,000 per bonus tier, it offers higher rewards rates than many business credit cards. Plus, you’ll earn a fairly large signup bonus and receive an intro-APR offer on new purchases. If you’re looking for a cash back card without categories, you’ll be hard-pressed to find one with a better unlimited rate than the Capital One® Spark® Cash for Business. Even better, the card comes with a good-sized signup bonus and the first year’s annual fee is waived. The Capital One® Spark® Cash Select for Business has a lower rewards rate than its sibling card, but it comes with a range of other perks that may be worth more to some users, including an intro-APR offer for new purchases. Well-qualified applicants can also obtain a lower APR than the Spark® Cash offers. There are likely as many reasons you could need to travel for your business as there are businesses themselves, which can make a travel rewards business credit card a worthwhile addition to your company’s financial plan. While there are dozens of co-branded business rewards cards for those dedicated to specific airlines or hotel chains, unaligned businesses can often get the most value out of a travel rewards card with flexible points or miles that can be used free of brand restrictions. The Ink Business Preferred℠ Credit Card is easily one of the more popular travel cards for businesses as it not only provides bonus rewards in useful categories — including, you guessed it, travel — but also because the Ultimate Rewards® points it earns can be transferred to a range of airline and travel partners. The miles you earn with your Capital One® Spark® Miles for Business can be used to cover a number of travel-related expenses, including airfare and hotel stays, free from blackout dates. The card’s annual fee is waived the first year, and its signup bonus is solid. The annual-fee-free sibling of the Spark® Miles, the Capital One® Spark® Miles Select for Business has a lower rewards rate but also has the potential for a lower APR. The intro-APR offer can also prove lucrative for businesses that need a few months to pay off a large purchase. There are many reasons you may be loyal to one airline over another, like the customer service or quality of the aircraft. In some cases, proximity can have a lot to do with how you fly; if only one airline flies out of your local airport, it’s hard not to have a preference. Whatever your reason for regularly choosing a particular airline, it can be beneficial to pick up a co-branded airline credit card. You’ll not only earn frequent flyer miles on every card purchase, but you can also receive additional branded perks that include free checked bags. If you regularly travel through American Airlines hubs for business, the CitiBusiness® / AAdvantage® Platinum Select® World Mastercard® can be a good way to earn perks and miles. Cardholders can earn American Airlines miles on every card purchase, plus a free checked bag and preferred boarding. It can pay to use your card regularly, as cardholders who spend at least $30,000 a year on their CitiBusiness American Airlines card will receive a Companion Certificate good for one round-trip domestic economy trip. The Delta Business Gold Card can be a good way to earn Delta SkyMiles® on every purchase on top of cardholder perks that include free checked bags. Other benefits of the Delta Business Gold card include priority boarding, 20% in-flight savings credit, and bonus miles on Delta purchases. The United MileagePlus Explorer Business Card is one of the few co-branded airline credit cards that offer bonus miles for non-airline purchases, providing 2X miles per dollar in multiple useful categories. You’ll also receive priority boarding with your United MileagePlus Explorer Business Card, as well as the ability to obtain employee cards at no additional cost. For the average tourist, a hotel’s location and amenities can be the most important qualities. For those business travelers stuck in hotel rooms on the regular, different things become important — like soundproof walls. 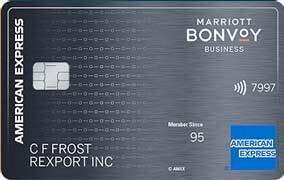 If you travel enough for business that you’ve developed an affinity for a particular hotel chain, a hotel co-branded credit card can offer an easy way to earn rewards for free stays, as well as unlocking special branded perks and benefits like free room upgrades or elite status. 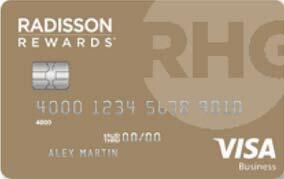 The Hilton Honors American Express Business Card offers a number of perks for cardholders, including Hilton Honors Gold status and free night awards for meeting annual spending requirements. If you’re seeking Hilton Diamond satus, simply spend $40,000 or more on your card in a single calendar year to enjoy a status upgrade through the end of the next calendar year. Depending on your business’s needs, a credit card with an annual fee can still be worthwhile, such as in cases where your business expenses can easily earn enough credit card rewards to pay for the annual fee (and then some). Thankfully, a number of solid business rewards cards can be found without annual fees if your business doesn’t make enough purchases to make an annual fee worth paying — or if you simply don’t want to waste revenue on an extra fee. The Ink Business Cash℠ Credit Card is a good choice for businesses with smaller revenue streams, as it offers a good rewards rate but a low spending cap. And not only does the card have no annual fee, but cardholders can also obtain employee credit cards at no additional cost. While its rewards rate is not as robust as that of the regular Spark® Cash card, the Capital One® Spark® Cash Select for Business still provides a good return without the annual fee, offering an unlimited 1.5% cash back and a quality signup bonus. Similar to the cash back versions, the Capital One® Spark® Miles Select for Business offers a lower rewards rate for those who don’t want to pay the annual fee of the Capital One® Spark® Miles for Business. Without the fee, you’ll earn 1.5X miles per dollar and a smaller — but still good — signup bonus. Establishing a consumer credit profile can be done in just six months, with a single line of credit. And you can even build reasonably good credit after just 12 months of paying your credit accounts on time. Business credit, unfortunately, is an entirely different beast. It takes multiple credit lines to even establish a business credit score, and it can take years to build up your score. If your business has yet to build significant credit and your own credit is less than great, finding a business card can be hard. These cards often accept fair credit or better and can be used to build up your business’s credit profile. The Capital One® Spark® Classic is designed for businesses starting to build credit, offering flexible requirements and no annual fee. Cardholders will even earn cash back rewards on every purchase. The BBVA Secured Visa® Business Credit Card is a secured card that requires a deposit of at least $500 to open. Your available credit will be equal to 90% of your deposit amount. In addition to rewards points on every purchase, your BBVA Secured Visa® Business Credit Card will also provide free employee cards, a host of online account services, and special Visa Business benefits. The Wells Fargo Business Secured Credit Card is a secured credit card, so it will require a deposit to open and use. Available credit lines range from $500 to $25,000. The larger a business grows, the more difficult it can be to track the potentially thousands of transactions being made each year by dozens or hundreds of corporate cardholders. For the business corporation, corporate credit cards can offer the features and functionality necessary to keep everything on track. But corporate credit cards aren’t the best fit for every business, nor are corporate cards and business credit cards mutually exclusive items. When used wisely, business credit cards can often offer significant value to businesses of any size.